Graeme's primary research interests are related to Nonlinear Dynamics and Structural Health Monitoring (SHM). 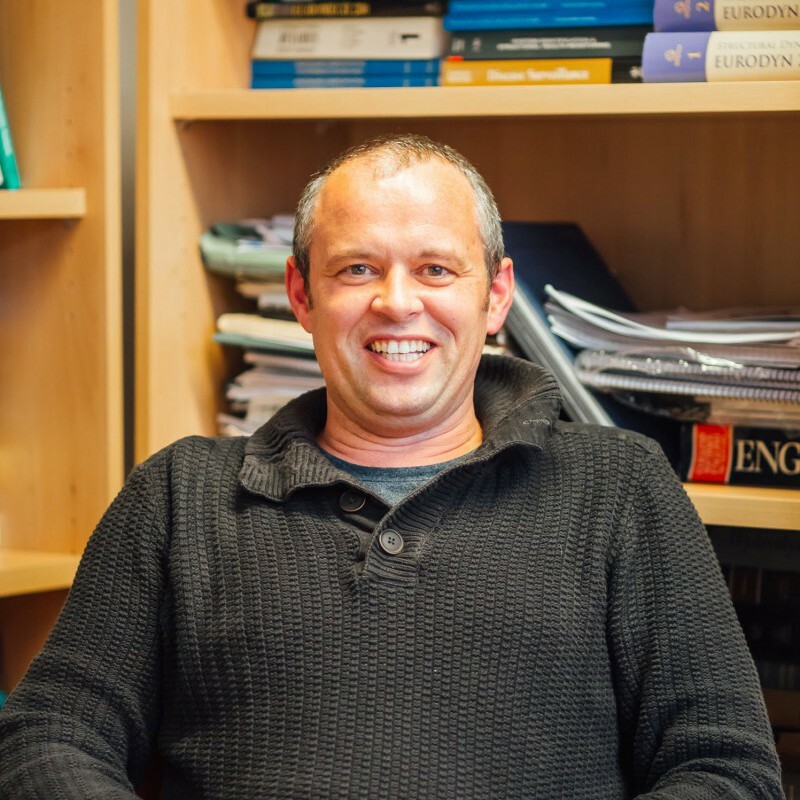 His current research on Nonlinear Dynamics focusses on developing a completely novel framework for the explanation of behaviour observed in nonlinear systems, including chaotic responses. His main focus in the area of SHM is concerned with the development of robust techniques that are capable of identifying damage in real structures, even in the face of the levels of environmental and operational variability to which these structures will be subjected. He is also interested in how uncertainty propagates through machine learning algorithms, with the focus again being on robustness for SHM. A further reseach interest is concerned with the application of adaptive population-based optimisation algorithms to real Engineering problems, with a particular focus upon Nonlinear System Identification.